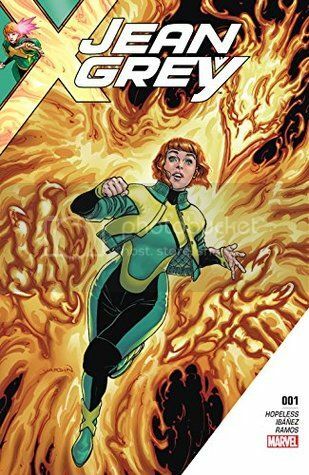 Book Summary: After an adventure with the legendary God of Thunder himself, JEAN GREY realizes that fighting the Phoenix will take more than just mettle…it will take METAL. Luckily, there's an X-Man who knows something about turning resolve into ordnance… Enter: PSYLOCKE! Book Review: This issue takes us on our next adventure with Psylocke. Here we find the two of them mediating surrounded by the bloom of cherry blossoms. Of course, Jean is anything but patient and decides that this is really not for her. As she walks off, Psylocke changes the scene to a club in Philadelphia. Since Jean was not impressed with silence, Psylocke believes the noise might be better for her and encourages her to find her weapon. 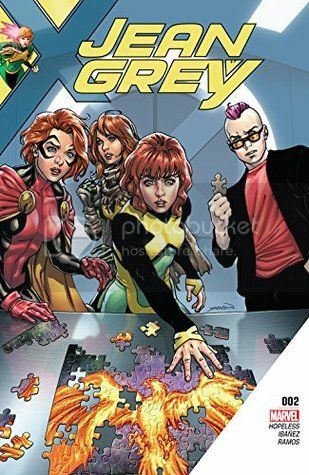 Unfortunately Jean fails at this and Psylocke once more changes the scene to a cavern filled with vampires (?). Again another fail. This time decides to bring her to a building where they are making members of the Hand. Jean: You want me to jump down there and fight an army of ninjas? Psylocke: No, I want you to sneak in there, set a load of explosives and sneak back out. For Jean, the course of stealth never fully runs its course with her and she finds herself fighting the army of undead Hand ninjas. There is a point in this when Psylocke must come to Jean's aid but Jean has already taken out the ninjas. This impresses Psylocke immensely and two destroy the building. This was an interesting read. I really like Psylocke here. She is the perfect mentor for Jean. I believe she could have offered her a lot more if Jean was a bit more patient as a student. Yet we have Jean hearing voices and not knowing who is talking to her. I suppose in our next issue we will find out who it is coming from.